Have you donated to the masjid within the last four years and are a UK tax payer? If so your donation can go even further by you gift aiding it. Please fill out the form below and we will be able to claim an extra 28p on every £1 (that you donated) up to the 5th of April 2008; and 25p of every £1 (that you donated) on or after 6h april 2008. 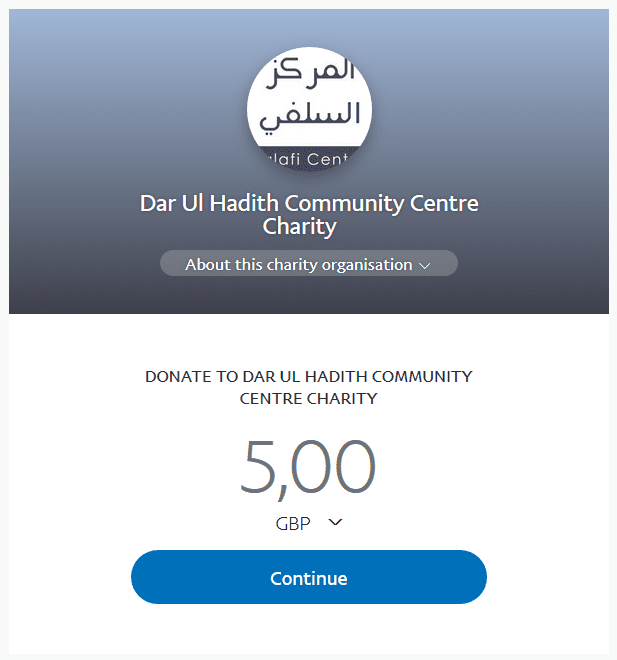 This will boost the masjid substantially, giving it the chance to run better and more efficiently without having to ask for as much donations in the future. Electronic Declaration for Darul Hadith Manchester as the Salafi Centre of Manchester. I can confirm that I am a British Tax Payer and I have paid or will pay income tax or capital gains tax for each year to cover the amount that will be reclaimed by the charity. I understand that tax such as council tax or VAT do not apply. Please enter the amount you donated today, so we can claim gift aid on this amount. If you have a regular standing order, or recurring donation, then please enter the monthly amount. Otherwise enter 0, and we will have the confirmation in case you make donations in the future. Please enter the amount donated between April 2010 & April 2011. If no donations, then please enter 0. Please enter the amount donated between April 2011 & April 2012. If no donations were made in this time, please enter 0. Please enter the amount donated between April 2012 & April 2013. If no donations were made in this time, please enter 0. Please enter the amount donated between April 2013 & April 2014. If no donations were made in this time, please enter 0. By ticking this box you have electronically signed this form and agree that the above is all correct to the best of your knowledge. Please inform us if you wish to cancel this, or change any details, or stop paying sufficient tax to cover the donation later on.